Planning a North East trip in India? Here is our ultimate North East India tourism guide that gives in depth information on North East India. Declared a UNESCO World Heritage Site, Kaziranga National Park is a substantial sized park, covering approximately 430 square kilometers. In particular, it stretches for 40 kilometers (25 miles) in length from east to west, and is 13 kilometers (8 miles) wide. Much of the park’s terrain consists of swamp and grasslands, making it the perfect habitat for the one-horned rhinoceros. The largest population in the world of these prehistoric looking creatures exists there, along with almost 40 major mammals. These include wild elephants, tiger, buffaloes, gaur, monkeys, deer, otters, badgers, leopards, and wild boar. The birdlife is also impressive. Thousands of migratory birds arrive at the park every year, from distant lands as far away as Siberia. In the state of Assam, in India’s Northeast region, on the banks of the Brahmaputra River. 217 kilometers from Guwahati, 96 kilometers from Jorhat, and 75 kilometers from Furkating. The main entrance to the park is at Kohora on National Highway 37, where there’s a Tourist Complex and booking offices. World Heritage sites aren’t simply ancient stones and cultural sites. UNESCO’s list also includes natural wonders. 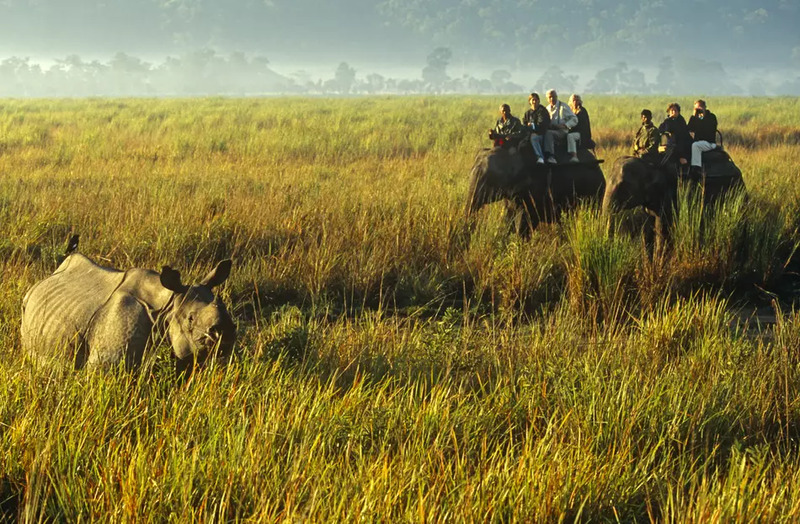 Situated in the heart of Assam, the Kaziranga National Park is one of the last areas in eastern India which is undisturbed by a human presence. Authorities said they came to a low count because they could not burn enough of the grass in the national park to spot the animals. 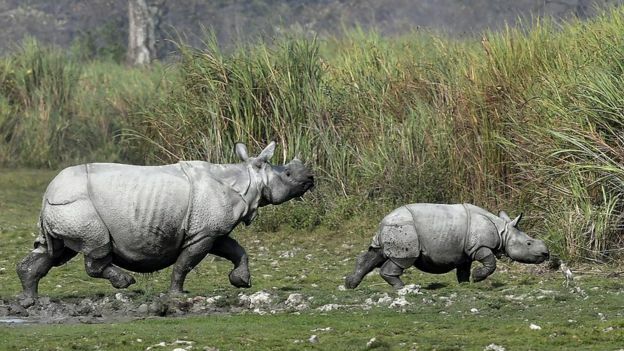 The population of the one-horned rhinoceros in Assam’s Kaziranga National Park has risen marginally by 12 to 2,413, according to the 2018 census. This is a much lower increase than the 111 rise the 2015 census recorded, the Hindustan Times reported on Thursday. The census was carried out on Tuesday and Wednesday. Authorities said they came to a lower count this time because they could not burn the tall grass in the region to spot the animals – only 20% of the vegetation could be burnt as compared to the 60% to 70% every year. 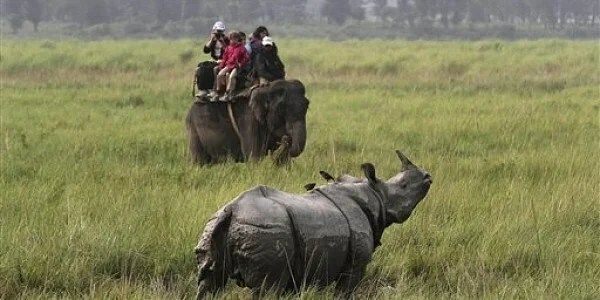 Enumerators who were part of the census suggested they may carry out another count next year after reviewing the field conditions that are essential to ascertain the rhino population, according to News 18. 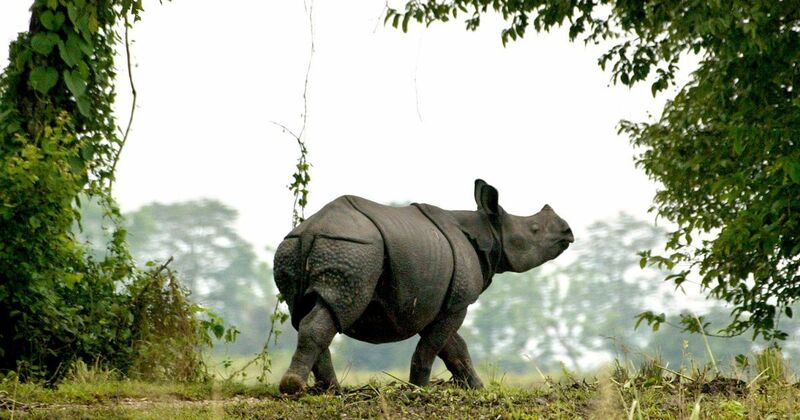 “Given various factors, this [the rise in rhino population] is plus or minus 100,” Assam’s Chief Wildlife Warden, NK Vasu, told The New Indian Express. Authorities in India’s Kaziranga National Park are using elephants and sport vehicles to conduct a census of its one-horned rhinoceros population. 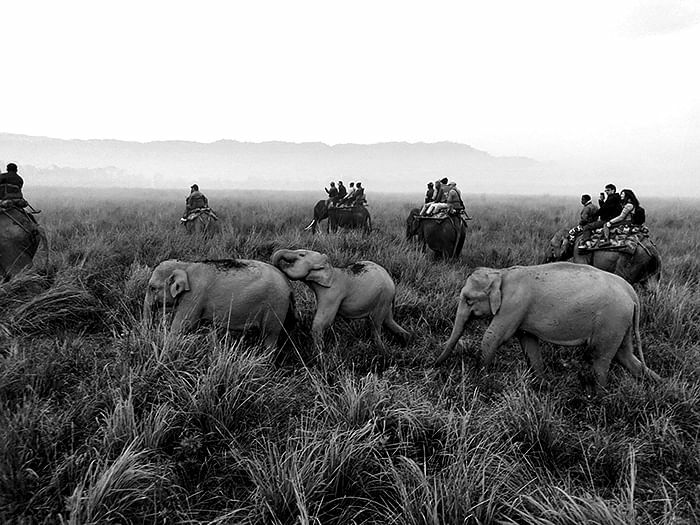 The Unesco World Heritage Site, in north-east Assam state, is home to two-thirds of the world’s population of the species. The census is carried out every three years and is due to last two days. 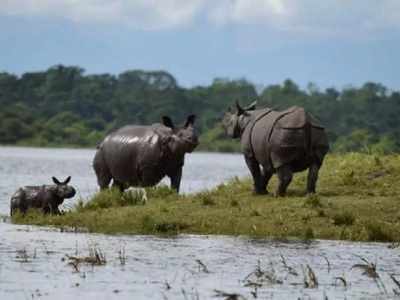 “We expect [the] rhino population will be increased in Kaziranga,” Assam environment minister Pramila Rani Brahma said. As well as being a haven for one-horned rhinoceroses, the park was declared a tiger reserve by the Indian government, and is also home to elephants, wild water buffalo and numerous bird species. The endangered South Asian river dolphin or Ganges dolphin also lives in the rivers that criss-cross the park. However, this reputation for conservation has not been without controversy.